This reading group guide for Midnight at the Bright Ideas Bookstore includes an introduction, discussion questions, and ideas for enhancing your book club. The suggested questions are intended to help your reading group find new and interesting angles and topics for your discussion. We hope that these ideas will enrich your conversation and increase your enjoyment of the book. 1. While talking with Raj, Lydia reminisces about her relationship with Gas ‘n Donuts: “but her nostalgia for the place had never been strong enough to outweigh her dread of dredging up the past” (138). How is Lydia’s relationship with the past presented, and how do you see it evolve over the course of the novel? 2. What were your initial impressions of the characters, specifically Lydia’s father? How did these impressions change over the course of the novel? 3. As Lydia assess her own muddied memories of the Hammerman, she visits Moberg, who has long suspected that Lydia’s father was the murderer. Hurting and suspicious, Lydia also seems to believe that her father might be behind the murders. Did you find yourself believing that her father might be guilty? At what point did you realize it was Raj’s father who had committed the murders? 4. 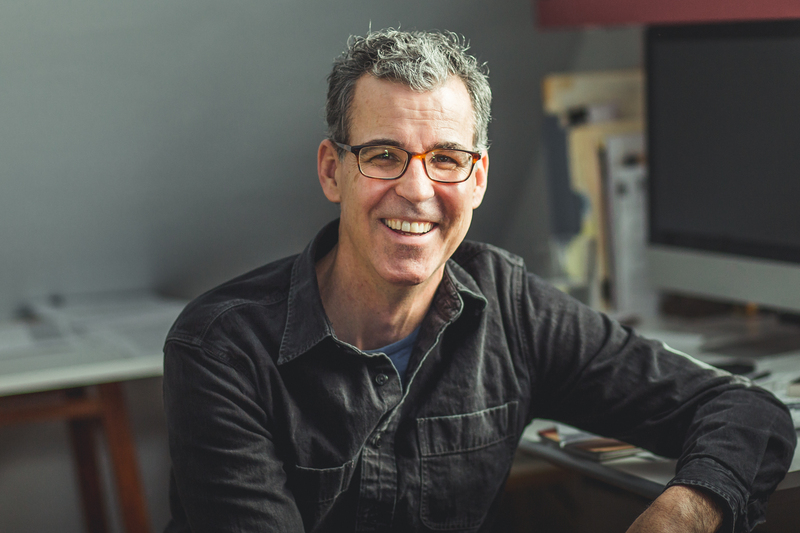 Sullivan weaves a tight web of a story with characters whose lives are significantly intertwined yet all of these characters feel acute loneliness and isolation. Explore these themes with your group. What other themes do you see at work? 5. Mrs. Patel feels immense guilt about the O’Toole murders, believing that “their blood was on [her] hands” (302). Once she learns of Joey’s suicide, she experiences further emotional upheaval. Take a moment to think about the “justice” of Mrs. Patel’s final act. Did it take you by surprise? How did it resonate with you? 7. Lydia’s familiarity with books and the bookstore setting are crucial to the plot of the novel. Discuss with your group the significance of Joey’s cutouts in books as a means of communication. Contemplate what metaphorical gesture Sullivan might be making. 8. Using the quote below as a starting point, discuss Lydia’s drive to uncover the mystery. How do your own philosophical ideals align with these philosophies? “But then not having answers had always been the point: the point of her childhood, the product of her hours in the library, the sum of [her father’s] philosophy when she was a little girl. You leave yourself open to answers, he’d always taught her. You keep turning pages, you finish chapters, you find the next book. You seek and you seek and you seek, and no matter how tough things become, you never settle” (208). 9. Despite her long-term relationship with David, Lydia is still “fully aware of the one thing she could never reveal: her night with the Hammerman” (137). Once Lydia discovers that David has been communicating with her father, and he knows about the night of the murders she feels betrayed (213). Did you imagine that Lydia and David would ever recover from the secrecy? What values do you place on a relationship? Where do you think Sullivan leaves us with Lydia and her relationship to the murders and to herself? 1. Midnight at the Bright Ideas Bookstore is filled with references to books of all kinds. Read an excerpt from one of the many books mentioned in the novel. Consider reading simultaneously the books that Joey pairs together such as The Crying of Lot 49 and Wise Blood or Resuscitation of a Hanged Man and Alice in Wonderland. 2. 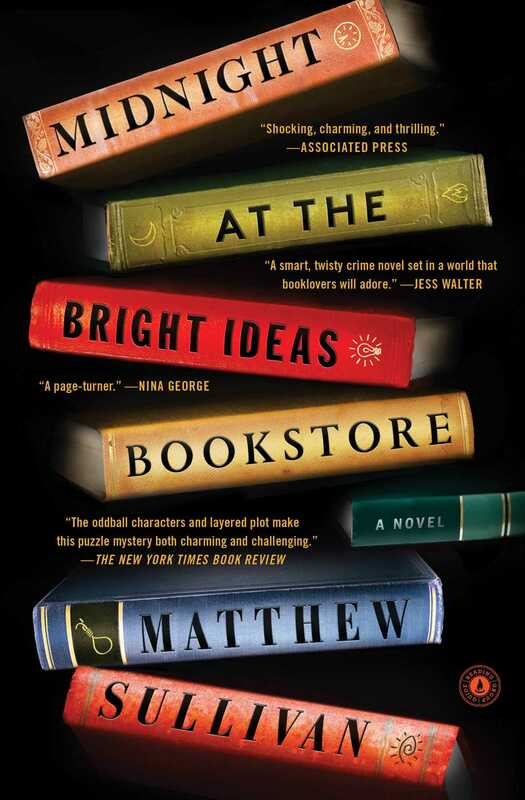 The description of the Bright Ideas Bookstore was based on Sullivan’s own experience working at the Tattered Cover Bookstore in Denver, Colorado. Look up images of the interior of the bookstore. Does the description of the wooden rafters and staircases remind you of the novel? 3. Read other book-related mysteries like Mr. Penumbra’s 24-Hour Bookstore by Robin Sloan and Booked to Die by John Dunning. How do they compare?